Over time, our skin’s youthful appearance and texture is affected by cumulative affects of collagen and moisture loss, sun exposure, acne and more. Fractional skin resurfacing helps restore your skin’s beauty by treating mild to moderate wrinkles, red and brown spots, acne scars, stretch marks and textural irregularities. 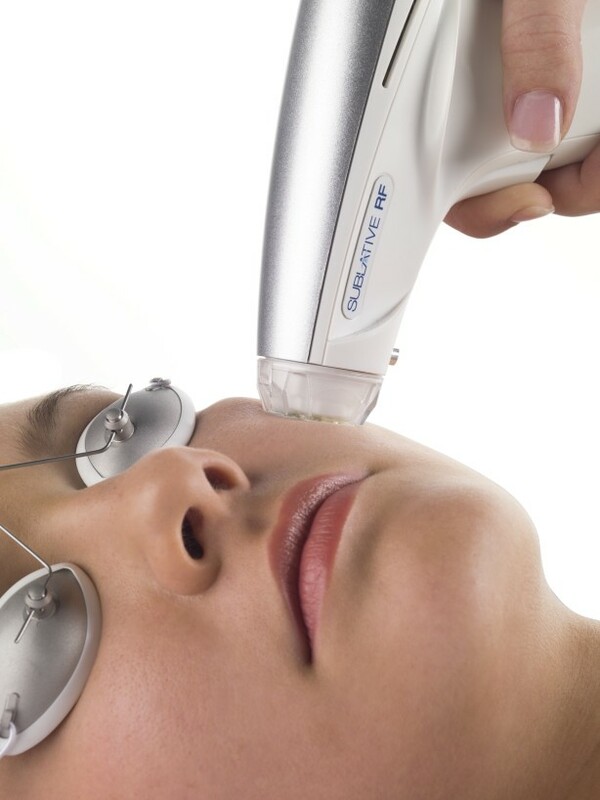 The eMatrix system with Syneron’s unique Sublative Rejuvenation treatment goes beyond fractional methods of skin resurfacing. The system utilizes Sublative RF™ – fractionated bi-polar radio frequency technology – to place the heat energy effectively into the dermis where it can produce significant dermal impact with minimal epidermal disruption. Schedule a free personal consultation with our dermatologist today! E-Matrix delivers effective results with minimal downtime! Frequency energy is precisely directed to tiny matrix spots. The healthy skin around the spots accelerates the healing process of the skin. Post treatment, you may notice increased levels of beneficial collagen and new healthy skin cells are produced. Mild to moderate wrinkles and superficial skin discolorations are reduced, and the texture of your skin becomes more smooth and elastic. Typical treatment protocol is 3 treatments, 4-6 weeks apart. The total number of required treatment sessions depends on your skin’s condition and will be explained and offered by the dermatologist. During treatment, many patients feel a warm, prickly sensation as energy enters their skin. After treatment a pink or red “sunburn” appearance and feeling is also common. Topical anesthetic ointments and cooling are used to reduce unpleasant feelings during treatment. Treatment costs vary and depends on sizes of the threatened area. Schedule a personalized consultation in Hill Clinic for more details.